This configurator has been designed for users to custom build HDMI Adapter Ring Configurations. Every adapter ring includes Liberty's patent-pending tensile aircraft strength ring & clamp. 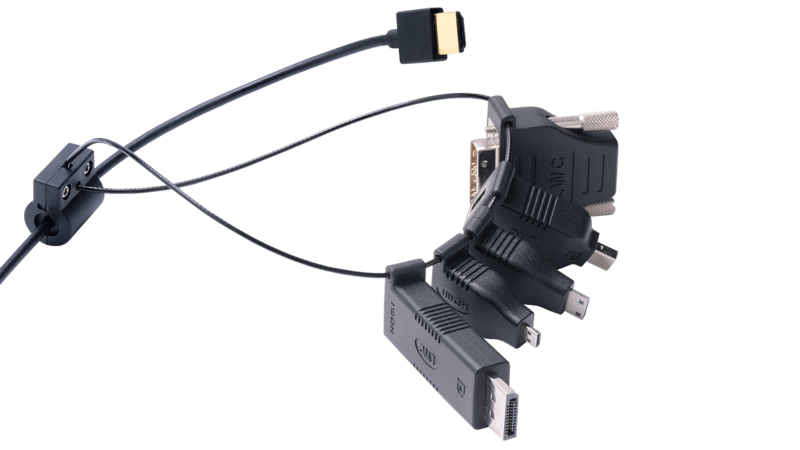 This clamp firmly locks on to the HDMI cable that is running to your video display, keeping the adapters secure and readily available. Select connectors for your ring below!